Ronald Stoyan is editor-in-chief of Germany's leading magazine for practical astronomy, interstellarum, which he co-founded in 1994. He has been an avid visual deep sky observer for more than 25 years and is currently observing with a range of various instruments from small binoculars to a 20-inch Dobsonian. He has recorded observations on more than 2000 objects and has drawn many of them. During several travels to Namibia and Australia, he also has observed the southern sky in detail. 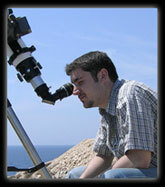 Ronald has written eight books on observational astronomy. In Germany, he is best known for his guidebook "Deep Sky Reiseführer", while his most popular English language work is the "Atlas of the Messier Objects". Stephan Schurig is a web and graphics design expert. Being an observer himself, he understands the specific needs of celestial cartography and its presentation. 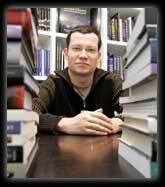 Stephan was a member of the editorial board of interstellarum between 2001 and 2008. He is co-author of Germany's most popular planisphere, and is the designing author of a unique annual poster showing events in the night sky.